Hello MIUIers, Today we talk about basic problems which you faced in your new Xiaomi Redmi 4A device. As you know this is budget phone introduced by Xiaomi India. Redmi 4A has powerful Snapdragon 425 Quad-core processor with a mid range 12.7cm (5 inches) screen. Redmi 4A packed with 3120mAh battery with Dual SIM functionality. Redmi 4A comes in Gold and Dark grey color with VoLTE support where you can use VoLTE services easily. 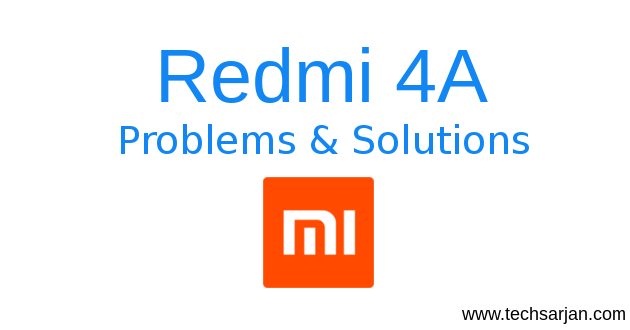 Here we talk about problems which new users faced during Redmi 4A usages. Normally we can say these are not problems actually some users switch Stock Android to MIUI. So they face problems to handle basic things. But don’t worry about it. MIUI is far better than stock Android. Here many things you can without usages any third party app. You can enjoy all features in Redmi 4A which you use in Redmi Note 4 or any other Xiaomi device. here we discuss all these things. Once you start your device. 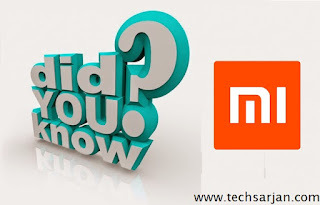 You need to have a Mi account, In order to use Xiaomi services like Mi cloud, Mi message, Mi Sync service then you must have a mi account. You can easily create Mi account. Once you create Mi account for your Xiaomi Redmi 4 then you need to enter account details in your Xiaomi Redmi 4A. Now you can enjoy Mi Sync where you can sync your data like call history, messages, notes, photos, videos all data automatically sync with Mi cloud server. Even if you use multiple Xiaomi devices then all photos come on all devices automatically. For example, you have Redmi Note 4 and Redmi 4A. Now you click a photo in Redmi Note 4 then this photo come automatically in Redmi 4A. In Redmi 4A, you can send free messages to other MIUI users means you can send free of cost messages to another Xiaomi users. This service called Mi message. To enable this Mi message service in Redmi 4A follow below article instructions. In Redmi 4A, you can control your AC, TV, DVD and many things which are controlled by an infrared remote. You need to setup basic things to use Redmi 4A remote feature follow below article instructions. You can set a screen lock (password or pattern lock) in your Xiaomi Redmi 4A. In Redmi 4A, you can set pin /password /pattern via using inbuilt pattern lock system. There is no need to use any third party app for pattern lock service. In Redmi 4A you can easily record all calls in your phone via using inbuilt call recorder. 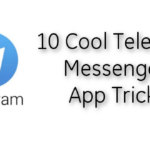 there is no need to use any third party app for call recording purpose. here you can also use well-designed calculator app where you can use calculator scientific purpose and you can also convert many things. If your old contacts all saved in your SIM then you need to import all contacts from sim to phone or you can enable sim contacts visibility from phone book settings. If you forgot your pattern password then don’t need to worry about it. you can easily reset pattern phone password in Redmi 4A just follow below article instructions. All above errors come because of permission issues. to solve these problems you need to go to security app and tap on permission section and give full access to the particuar app else reinstall that app from play store. If your phone’s home button, back button, and menu button not working. 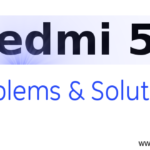 then don’t worry you can easily solve this problem in your Redmi 4A. Just follow below instructions to handle this button issue easily. 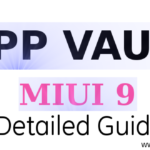 If you are thinking or asking about MIUI 9 then here a good news for you. Soon you get MIUI 9 in your Redmi 4A. We also share download links for you once Xiaomi rolled out the stable update for your Redmi 4A. till then enjoy MIUI 8 which is far better than any other custom ROM. 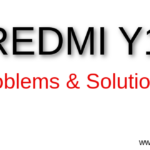 Here we share some working tips which might be helpful to handle Xiaomi Redmi 4A problem which you faced during day 2 day usages. If you are facing any issue with Redmi 4A then please tell us in our comment section. 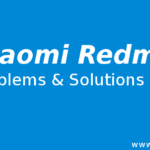 We provide a working solution for your problem. Is phone have any physical damage? I hear lot of touch panel not working issue in MI 4A. Even my wife phone has the same issue. Is it a real failure or a false failure. In the service center they mention water in side the phone. I really don’t understand this point. And they show me a contaminated point near the display connector. If water has gone inside then the complete board should have a water marks. Why only on one area there is a watermark. I suspect some kind of contamination on the display connector on the PCB. Can any one suggest on the situation. I installed the 8.5.7 miui and tried checking out the new feature of the update and it tells me to log in with a xiaomi id, but I already made a mi account… What should I do?